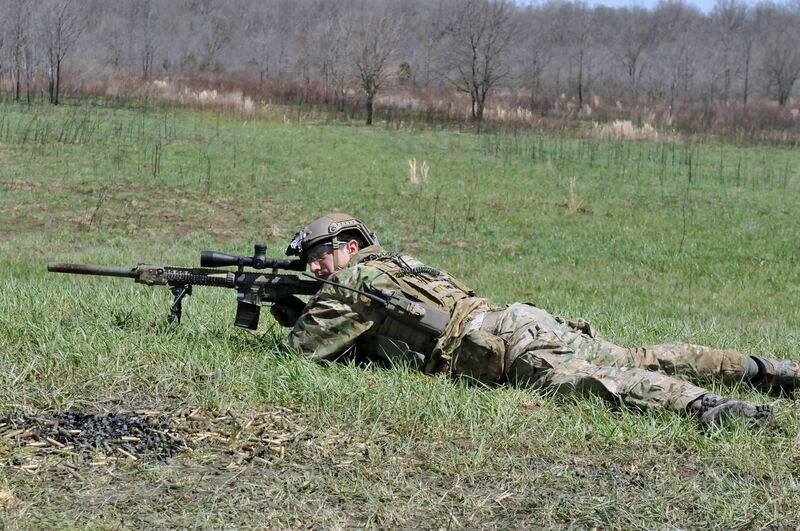 Rangers from 3rd Battalion, 75th Ranger Regiment conduct platoon live-fire training exercises at Fort Knox, Ky., April 17. (Photo by Sgt. Jeffrey Moore, 10th Press Camp Headquarters). Members of an Afghan-international security force provide overwatch, as other members advance toward a compound in the Zurmat district, Pakyiya province, Afghanistan, March 28.
fires a M4a1 carbine at a close quarters marksmanship range, January 2014. 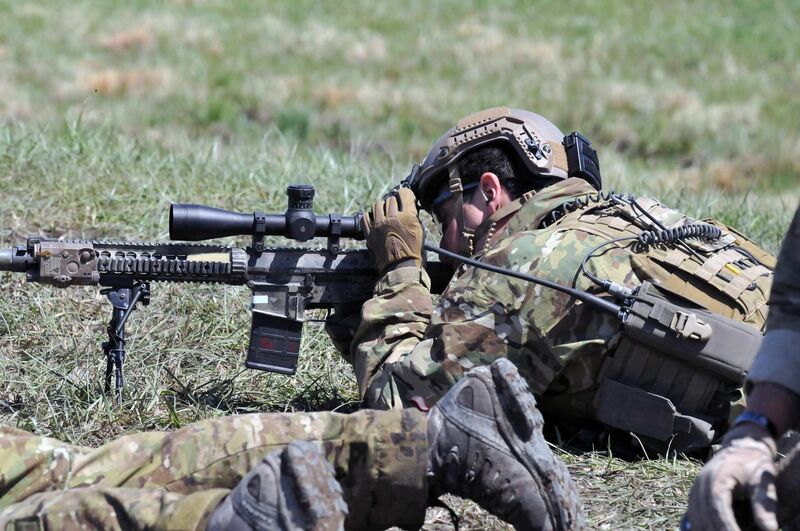 This Ranger's M4 is fitted with a SpecterDR 1.5-6x Multi-Function Combat Day Sight, WMX2000 light, AN/PEQ laser and a M320 grenade launcher. 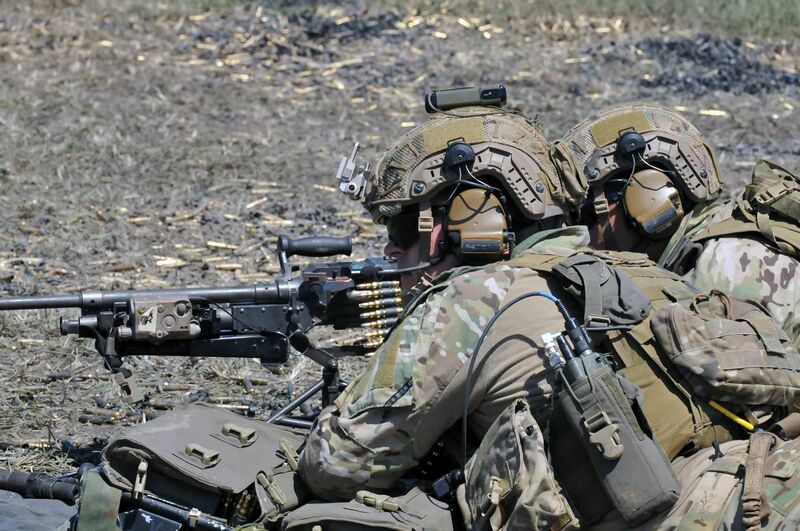 Soldiers with the 75th Ranger Regiment push forward during a a training raid at the Hohenfels Training Area, Germany as part of Exercise Swift Response 15, August 2015.